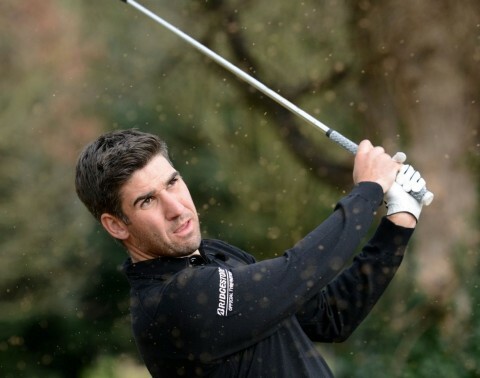 Sean Maisey won the qualifying event for the 2017 Bridgestone Challenge at Redditch Golf Club, Sam Edwards gained the second qualifying place when he won through in a play off with Devon's Jimmy Mullen. The event was played using a modified stableford system, where an eagle gained 5 points, a birdie got 2 points. Sean Maisey made 2 eagles in his round. Stuart Manley announces partnership with Click Fit Blinds. Stuart Manley has today announced that he will be partnering with Click Fit Blinds. Stuart will display the Click Fit logo on the chest of his clothing as he competes around the world this year on the European Tour; this includes the Open Championship at Royal Birkdale in July. Stuart has made a solid start to the 2017 season on the European Tour and is currently 88th on the Race to Dubai rankings. His best finish has been 2nd position at the Joburg Open, this result also gave Stuart an exemption in to the 146th Open Championship at Royal Birkdale in July. New Partner packages have today been released by Blackstar Sporting Events Ltd for the 2017 Bridgestone Challenge at Luton Hoo Hotel, Golf and Spa. The 2017 Bridgestone Challenge will be staged at the magnificent Luton Hoo Hotel, Golf & Spa on September 7 – 10, 2017 with the pre-event Pro Am taking place on September 6. 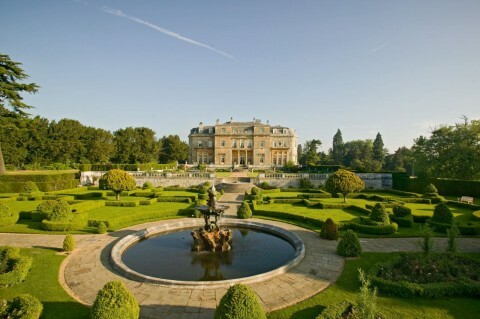 Luton Hoo Hotel, Golf & Spa is a luxurious 5 star hotel that boasts a championship golf course and magnificent spa set in over 1,000 acres of stunning parkland and gardens; it is within half an hour of London’s Kings Cross Station and close proximity to motorway networks. The Bridgestone Challenge will break new ground by becoming the first European Challenge Tour tournament to use a modified stableford format when the Road to Oman arrives at Luton Hoo Hotel, Golf & Spa later this year. From September 7-10, Europe’s most up and coming golfers will swap traditional stroke play for the innovative format which awards players points for under par scores and deducts points for over par scores. Modified stableford, which last featured on the European Tour in the 2004 ANZ Championship, is not the only innovation on the Challenge Tour this season, with match play golf returning to Europe’s top developmental tour for the first time in 18 years at the Andalucía Costa del Sol Match Play 9. 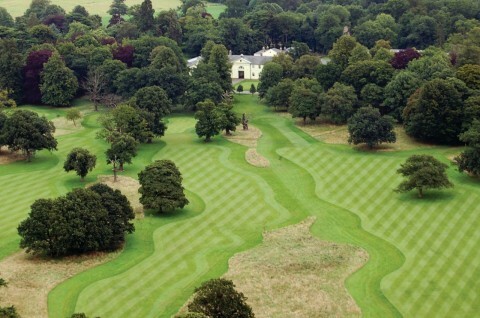 This year will see the second staging of the Bridgestone Challenge, with Luton Hoo Hotel, Golf & Spa playing host to a Challenge Tour tournament for the first time. Alain de Soultrait, Challenge Tour Director, said: “The Challenge Tour is always looking to grow the game of golf and to make the sport exciting for both spectators and our players. “With the introduction of a modified stableford format at the Bridgestone Challenge, and the return of match play golf for the first time in 18 years in Andalucía, we are aiming for a varied schedule which challenges our players while inspiring the next generation. 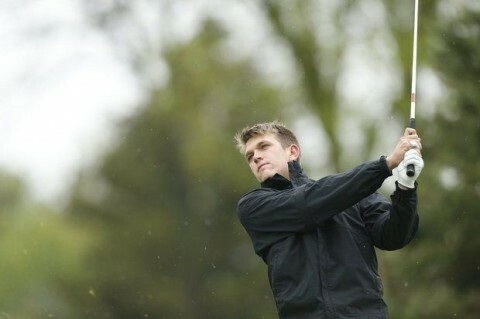 Luke Johnson, who represents King's Lynn GC has today signed with BlackStar Golf. 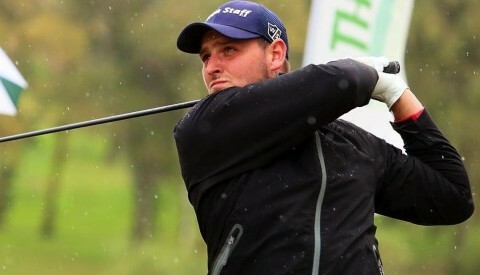 The 24 year old, who won the West Of England Trophy in 2015 and turned Professional at the beginning of 2016 said, "I am delighted to have joined BlackStar Golf, and I am sure with their help I can move forward with my career "
Luke won his first Professional event in December last year on the Gecko Tour shooting 7 under par to win by 3 shots. 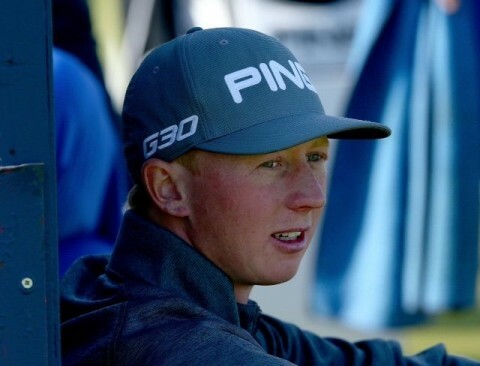 Jeremy Robinson said " We are very pleased to have Luke join us, he adds to some already very good young players we now have, and I am sure that they can all progress in 2017 and hopefully achieve great things in the future on the European Tour"
Martin Rohwer had scores of 72,69,69,65 and 67 to finish 2nd at the 2017 Sunshine Tour Qualifying School last week at Randpark GC in Jonhannebourg, this follows on from his victory at the Pre Qualifying stage the previous week. Martin, will now play the first 5 events on the Sunshine Tour starting with the 2017 Zimbabwe Open in April, he will come over to Europe in June to play on the PGA European Challenge Tour. Michael Hoey from Galgorm Castle shot rounds of 71,71,71 and 75 for a final total of level par and an 8th place finish at the Indian Open. Martin Rohwer shot rounds of 64,71,68 and 67 to finish 10 under par to win the Sunshine's Tour Stage 1 at Q School in South Africa. Martin, who turned professional at the end of 2016 after graduating from the University of Alabama now moves on to the Final School which is played over 5 rounds, starting on Monday. The top 30 players gain a full exemption on to the 2017 Sunshine Tour. 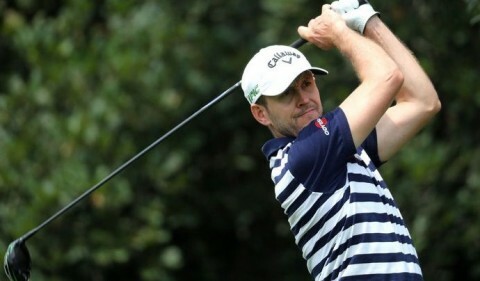 Stuart Manley shot a final round 67, which included a brilliant birdie-birdie finish to tie for 2nd place with Paul Waring from England in the 2017 Joburg Open, 1 shot behind the eventual winner Darren Fichardt from South Africa. 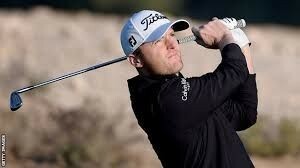 Manley had 3 rounds of 67 to finish on 14 under par in the rain shortened event. 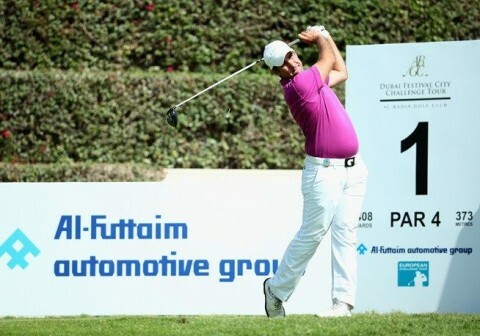 Manley moves up to 42nd in the latest Race To Dubai ranking list, and also qualified for the Open Championship at Royal Birkdale in July, as the Joburg Open was an Official R & A qualifying event. 2018 Bridgestone Challenge will again be at Luton Hoo Hotel, Golf & Spa. The 2018 Bridgestone Challenge will be staged at the magnificent Luton Hoo Hotel, Golf & Spa on September 6 – 9, 2018 with the pre-event Pro Am taking place on September 5. This will be the third staging of the Bridgestone Challenge, and the second time a European Challenge Tour tournament will be played at Luton Hoo Hotel, Golf & Spa. Alain de Soultrait, Challenge Tour Director, said: “We are delighted to be able to partner with Bridgestone again in 2018 and are excited to build on the success of last year’s event; we are also very pleased to return Luton Hoo Hotel Golf and Spa on to the Challenge Tour schedule. “The Challenge Tour is the best path for young players looking to make their way in the professional game, and we have seen many great English players come through our ranks. 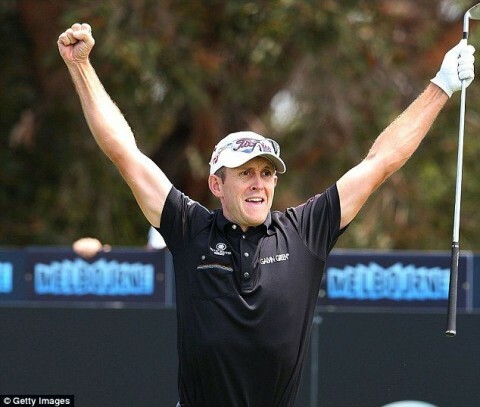 “Olympic gold medalist Justin Rose and Ryder Cup hero Ian Poulter are both former Challenge Tour stars, while Tommy Fleetwood, Andrew Johnston and Jordan Smith have all finished top of our Rankings in recent years. Jeremy Robinson, Director of Blackstar Sporting Events, who stage the event is delighted that the Bridgestone Challenge will again be heading to this grand venue, and is excited to be working with Matthew Long and his team at Luton Hoo Hotel, Golf and Spa. Bridgestone North Region, with headquarters in Warwick, is responsible for managing the tyre business in the UK, Ireland, Sweden, Finland and Denmark through its own sales companies. In addition, it provides tyres in Norway through an exclusive distributor. Bridgestone North Region is part of Bridgestone EMEA (headquarters in Brussels), which is one of the six strategic business units of Tokyo-based Bridgestone Corporation - the world’s largest tyre and rubber company. In EMEA, it operates in more than 60 countries and has over 18,200 employees. Across the EMEA region it boasts 14 tyre and tyre related plants, a major R&D Centre and a state-of-the-art proving ground in Rome. Luton Hoo is a luxury five star hotel on the Bedfordshire and Hertfordshire border, with an 18 hole golf course and a magnificent spa set in over 1,000 acres of stunning parkland & gardens. It is part of Elite Hotels. BlackStar Sporting Events Ltd is a bespoke events company based at Worcester Golf Club, and also manages Professional Golfers through BlackStar Golf Ltd.
KwaZulu-Natal golfer Martin Rohwer backed up a superb eagle at Killarney Country Club’s 15th with three straight pars to collect his first IGT Challenge Tour trophy in the Race to Q-School series on Thursday. 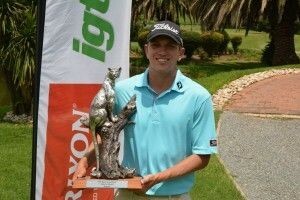 The 23-year-old rookie from Kloof posted the low round of the day – a four-under-par 66 – in the 15th event of the Sunshine Tour Prep Series to close out a one shot victory on seven under over seasoned campaigner Coert Groenewald. Rohwer began the last day two off the pace, but closed the gap on joint overnight leader Dean O’Riley with a pair of birdies at the second and seventh. He edged ahead briefly with a birdie at 10, but gave the shot back at 11 when he leaked his tee shot right into the trees. A brief look at the on-course leaderboard at 15 sparked a great drive that flew straight down the middle of the par five and a superb seven iron into the green set Rohwer up for his maiden breakthrough. “I hit a cracking tee-shot and the distance was just perfect,” he said. “I left myself a six footer for eagle and boxed the putt. Coert had the lead at six under, but the eagle gave me the lead. “I thought he would make a birdie over the last three holes, so I played conservatively, although I hoped to pick up at least one more birdie. When I got 18, I saw he finished at six under, so I just made sure that I got the par for the win. Rohwer began competing on the country’s premier golf development circuit after he graduated the University of Alabama at Birmingham last year. He credits Shaun Coetzee for his victory. “I started working with Shaun at the Institute of Elite Golfers at Kloof Country Club about two months ago and I really feel his has helped me reach this point,” said Rohwer. BlackStar Golf will be closed from Wednesday December 21st and will re-open on January 3rd, we wish you a very Happy Christmas and a Properous 2017. Manley Regains European Tour Card for 2017. 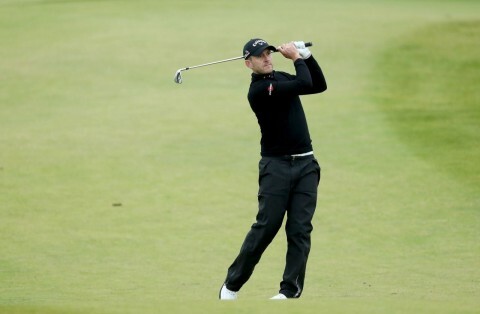 Stuart Manley shot rounds of 72, 63, 73, 69, 74 and 70 to regain his European Tour card for the 2017 season, by finishing 16th at the European Q School at PGA Catalunya in Spain. Stuart now heads to Australia to represent Wales with Bradley Dredge at the World Cup Of Golf at Kingston Heath Golf Club in Melbourne. This week sees the final event on the 2016 Challenge Tour schedule, with the NBO Classic Grand Final at Al Mouj Golf,Muscat,Oman. 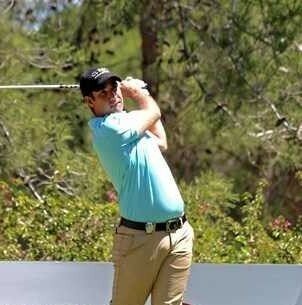 Oliver Farr goes in to the event in 33rd position in the latest rankings, the top 16 players gain full status on to the 2017 European Tour, and players finishing 16 - 46 gain full membership of the European Tour, but this will only give a player limited events on the main tour next season. The second stage of the 2016 European Qualifying School is also played this week at 4 different venues across Spain, the Final Q School then starts on November 11th at PGA Catalunya, where the top 25 players also graduate on to the 2017 European Tour.